The blog has recently been updated and I'm still not used to the changes so somehow, in trying to re-post my Easter message, some old and/or unfinished drafts got published, too. Sorry to flood your inbox with so many e-mails. This is a re-post of my Easter message which, due to problems with the blog, did not go out on e-mail at that time. I hope to build on this in the future so that is why I am re-posting it. This is the season when we celebrate true freedom becoming available to all. By Jesus death on our behalf, resurrection and ascension into heaven, where perfect freedom will be enjoyed by all, he secured our ticket to paradise. All we have to do is accept it. 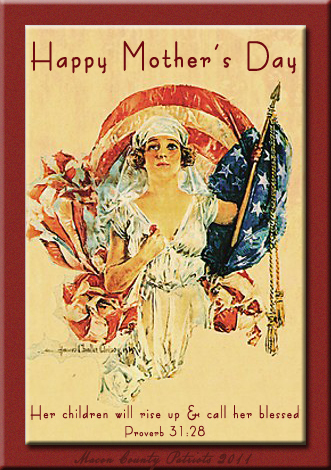 America, the earthly land of freedom, would never have been possible had not Christ done what He did that first Easter. Today we, as stewards of the blessings of Liberty passed down from Christ to our forefathers, have an awesome responsibility. If freedom is to remain on the earth, we must pass it along to our descendants. If this is going to happen, we must make converts. We must be Liberty Evangelists. Following is an attempt to explain my approach to "Liberty Evangelism". 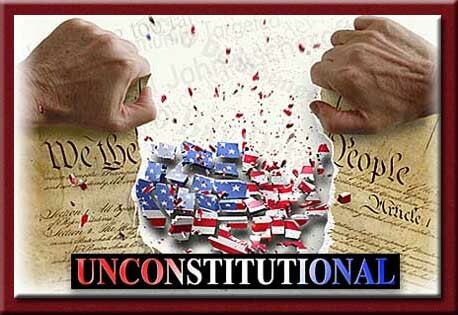 Although the term is not one I originated, I have co-opted it because I really like the way it so succinctly describes what I believe true patriots need to be engaged in. 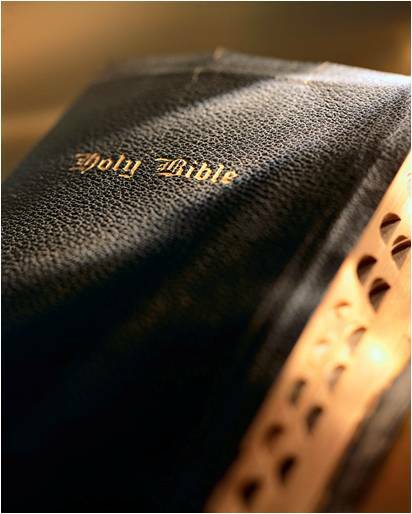 One reason I like this term is that, as in Christian evangelism, the goal is to make converts. 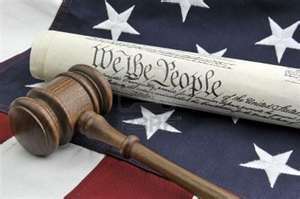 And not to a particular party or person, but rather converts from those kinds of loyalties and prejudices to those of allegiance to constitutional authority, the principles articulated in the Declaration of Independence, and the true history of the United States. People and parties come and go, but these are things we can hang our hats on. They are what made America great and they will always be around, whether we abide by them or not. So, in order to try to help us all in our efforts to evangelize, I am going to share here a few experiences. As I'm sure you do, I sometimes have occasion to talk to friends, neighbors, family and co-workers about these matters, especially in an election year, and here is somewhat of a journal of some lessons I have learned and am learning. Co-worker A: I have talked with this guy several times and we do not see eye to eye to say the least. Even so, he always brings the subject up and wants to talk about politics. On one such occasion we did come to agree on something: that the tax code is a mess and needs to be fixed. But where we differed was, I think, very illustrative. He said that if we would fix the tax code everything else would take care of itself. I said that the tax issue, like all others, is just a symptom of the root problem, which is that we have strayed from the Constitution. In a subsequent discussion he asked me what I thought was the main issue facing America. 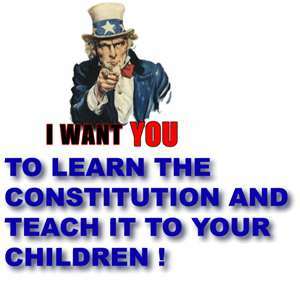 I said it was that we have strayed from the Constitution. He said, "No. I mean an issue." I said, "That is an issue. It is the issue." I mention this to show what I believe to be the difference between maybe winning a debate and making a convert and that is to always bring it back to principles rather than to persons or policies. 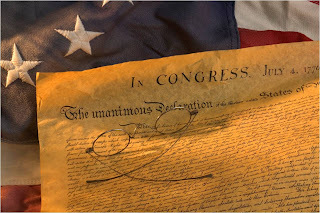 To the Constitution, Declaration, and true history. Here's why. If we get into a discussion about persons or policies, these are always changing and one can always find something to like or dislike about any of them. So, if one is not looking for truth but for a way to rationalize what they've already made up their mind they're going to do, there is no way to win that argument or to make a convert. But, if we can base our arguments on principles, we don't get personal and emotional and reason and truth have a chance to prevail. With regard to Co-worker A, I have come to the conclusion that this kind of rationalizing is what he is engaging in. As such, I don't hold much hope that he will ever become a convert. Even so, as long as he wants to engage, I will do so, if for no other reason than because it requires me to better think through the issues. And, hey, you never know! He may come around. Truth is a powerful thing! By contrast there is Co-worker B: While he and I don't necessarily agree on everything, he is malleable. He does not have an agenda that he wants to bend the truth to conform to. So, while I couldn't as yet count him as a convert, I am quite optimistic that he will eventually come around. As I said, you never know what might be the result of speaking the truth. That's what I tried to do with both of these guys. I want to encourage you to do this as well. I think it can make a big and lasting difference. May you and yours have a blessed and joyous celebration of the true freedom we have in Christ this Easter and always. Passes the Missouri House 108-38!! ~SB464 Insurance Exchange on the House Floor now! ~Great civics lesson and separation of powers discussion going on the MO House floor right now with Rep Barnes and Richardson! ~Final vote taking place on SB464 Insurance Exchange. Citizens of Missouri will be given another opportunity to say no to OBAMACARE! ----> SB464 gets 108 yes votes and is on the way to the ballot!!! Grassroots activists got her done! Thank you, Senator Rob Shaff (34), Representatives Jay Barns (114) & Todd Richardson (154) Excellent civics lesson!, Representative Tim Jones (89), Representative Ryan Silvey (38). And thank you Carl Beardon for keeping us up to date on the entire process! This is the last week of the Missouri General Session. We have a couple of important bills that will establish statutes to strengthen Missouri sovereignty against Obamacare. SB 464 prohibits the establishment, creation, or operation of a state-based health insurance exchange unless the exchange is created by a legislative act, an initiative petition, or referendum. This bill specifically prohibits the establishment of a state-based health insurance exchange by any executive order issued by the Governor. Since the bill already passed the Senate, it is in the Missouri House where it has received a d"do pass" vote from both the Health Insurance Committee and the House Rules Committee. As SB 464 goes to the full House floor for debate, Rep Tim Jones will be handling the bill. We need to call, email, and/or fax our individual members of the House of Representatives and encourage them to pass SB464. Be sure to thank them for passing previous legislation allowing 71% of Missouri voters to say "no" to ObamaCare, and for helping to stand against Governor Nixon's efforts to create the Health Care Exchanges needed to establish ObamaCare. 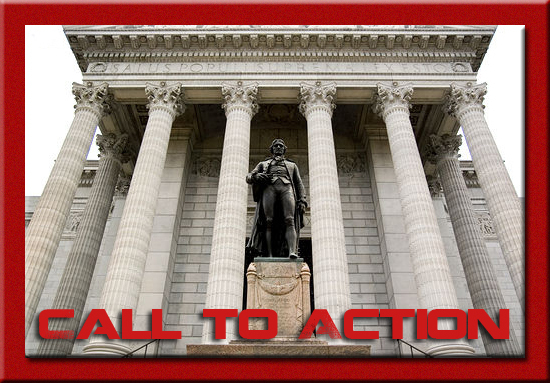 Kindly ask them to take the next step in defending Missouri by passing SB 464 before the 6pm deadline on Friday, May 18th (when the 2012 Legislature ends). Secondly is HB 1534. This House Bill "declares" State nullification of ObamaCare, and includes some very important statements that can be helpful as this battle continues. HB 1534 is in the Senate and could come up for debate this week also. However, SB 464 creates enforceable laws to protect us right away and needs to be our first priority. After contacting your House member about SB 464, you can also contact your Senator and ask them to support HB 1534 if it come to a final vote. Remember: In the future your childen's children will look back into history - may they see you as one of those heroes who stood tall when the United States and Missouri faced these dark days! Somebody said it takes about six weeks to get back to normal after you've had a baby. That Somebody doesn't know that once you're a mother, "Normal," is history. That Somebody never took a three-year-old shopping. That Somebody never watched her "baby" get on the bus for the first day of kindergarten, or on a plane headed for military "boot camp." to stop the Prescription Drug Data Base Bill. The prescription drug data base bill was stopped tonight. Thank you for speaking up. I listened to many of your messages read on the floor of the senate this afternoon and evening. Very passionate and inspiring messages. The Senators heard you too. You made the difference and Liberty wins another round. Bills for Government Database to Track Your Prescription Drug Purchases are DEAD! After several hours of filibuster, the two sides struck a deal that effectively kills both of these liberty stealing bills. The filibuster was handled masterfully and the senate team (listed below) is to be commended, as are the many, many citizens who sent in emails and phone calls of encouragement. A lot of the emails were read on the senate floor .... Your participation really made a difference! 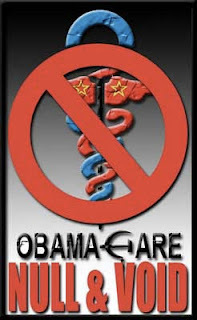 HB 1534 (Bahr), which nullifies Obamacare, will have a hearing in the Senate General Laws committee this coming Tuesday. From there, it goes to the Senate floor for the final votes. 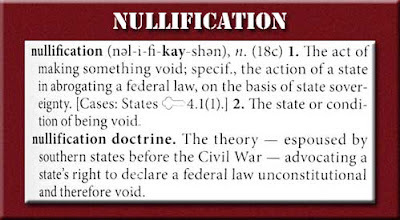 HB 1534 is a full-blown Jeffersonian style nullification of all of Obamacare -- not just the individual mandate. And it has teeth – including the arrest of any federal officials who attempt to enforce Obamacare in Missouri. We want Missouri to be the first to completely nullify Obamacare! We want to send a strong message to the Supreme Court and the Beltway! The senate will need LOTS of encouragement to pass this land-mark bill in the short time remaining this session. Please fill out a witness form to be presented to Missouri Legislators to represent your support of HB1534. Click on that link. You'll find that all pertinent information regarding the bill is already filled out. All you have to do is fill out the information in red, which are simply your name, complete address and your email address. Then press the "Submit" button. It's that simple! Once you submit your form you will be able to print a copy of it for your records and you will be represented at the hearing on Tuesday. Please take the time to be a part of this very important voice where we have been given the opportunity to participate in the making of Missouri Legislation.